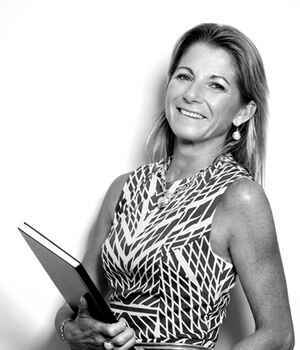 Julia is a founding Principal of Conlon and Co, and the resident expert in property management. An extensive 15 year career in property management has awarded her a wealth of knowledge and experience in all facets of the industry. Julia had a vision to establish the company after identifying - over a number of years - the elements that most frustrated her clients (landlords and tenants alike) in the common standards of property management. Her flexibility and adaptability in business allow Julia to tailor her skills and abilities to address those elements ripe for improvement. Most importantly, Julia is passionate about providing the very highest level of personalised service to her clients. Indeed, it is the attributes of reliability, efficiency and responsiveness that have been consistently commended by tenants and landlords throughout her career. Residing in the Eastern suburbs for nearly 30 years, both as an owner and a tenant, has ensured that Julia possesses an intricate knowledge of the area and permits her a deep insight into clients’ needs. A critical criterion for clients is to have their needs actioned in the timeliest manner possible. This requires Julia to demonstrate the skills and ability to work to a client’s timetable, not that of the business. She strongly advocates that a bespoke and boutique establishment can best deliver on these aims. Flexible working hours has proven to be invaluable to many overseas clients, who appreciate timely responses to queries and requests in their own time zones. It is Julia’s responsiveness and flexibility that enable her to deliver on these aims. Prior to working in the real estate industry, Julia had 14 years’ experience in the financial markets (working at a senior level as a broker at the Sydney Futures Exchange). This enabled her to build a strong skillset in negotiation technique and client liaison. Moreover, it is Julia’s skills in negotiation that have been instrumental in her move into property management. Renowned for her devotion to fitness, Julia harnesses the same level of discipline and dedication in her professional life. She sees little distinction between the way in which she conducts her personal and professional lives: that is, by maintaining a strong moral compass and personal integrity in all that she embarks upon. Julia recognises that it is a great privilege to develop so many strong client relationships throughout her career. Indeed, for Julia, the depth and quality of these relationships are the most rewarding side to property management. Establishing Conlon and Co with her sister, Georgie, is the best way in which she can sustain and grow relationships with all her clients.